I follow a lovely blog called Melkkos en Merlot which is the foodie outpourings of the talented Lizet Hartley. It is huge fun to read, she has some fabulous recipes on it, and it has a very pretty design. Merlot is her black rescue cat from Grassy Park SPCA. 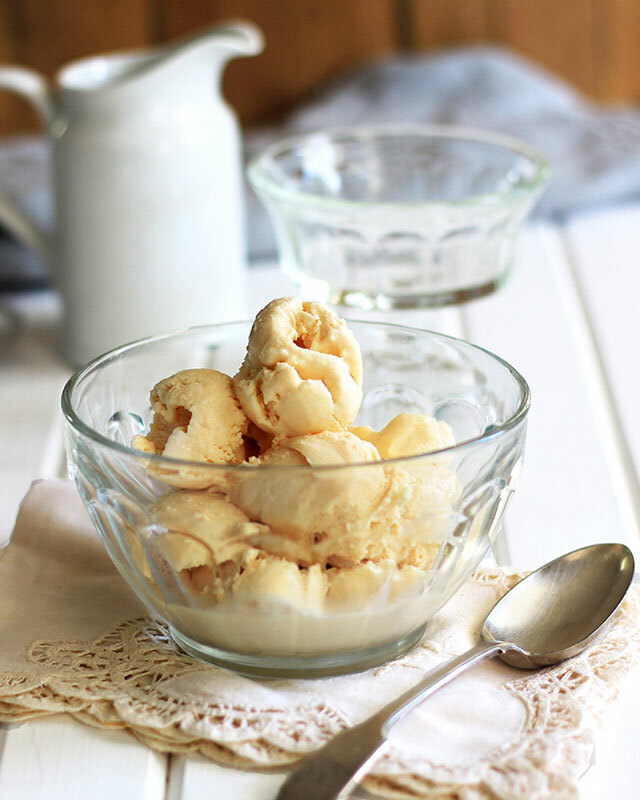 Recently she posted a recipe for Old-fashioned Ideal Milk Ice Cream which my grandmother used to make for us when we were children. The recipe is in the possession of so many of my cousins and it is regarded as a ‘family recipe’! Just goes to show – other families had it too. Lizet very kindly gave me permission to use the recipe and her enchanting picture. It’s so simple, my cat could make this with one paw tied behind her back. Just add the cream and vanilla to the condensed milk and stir through. Dissolve gelatin in warm water and add to the condensed milk/cream mixture. Whip the ice cold evaporated milk until it’s seriously foamy. Fold this into the rest of the ingredients. Pour into a bowl and freeze for 3-4 hours. Stir twice during the first 90 minutes. Do go and have a look at Lizet’s blog. It is very clever in that you can read the whole thing in English or Afrikaans.